Well! That’s a wrap. In case you’ve missed Fashion Week across the pond for Spring/Summer 2018, here are some snaps of my favorites. Since I was here stateside holding things down I was unable to attend. However, I would like to thank Glamour, Allure, WWD, Fashionista, Harper’s Bazaar, and Who What Wear for the compilations of photos and keeping me up to date. 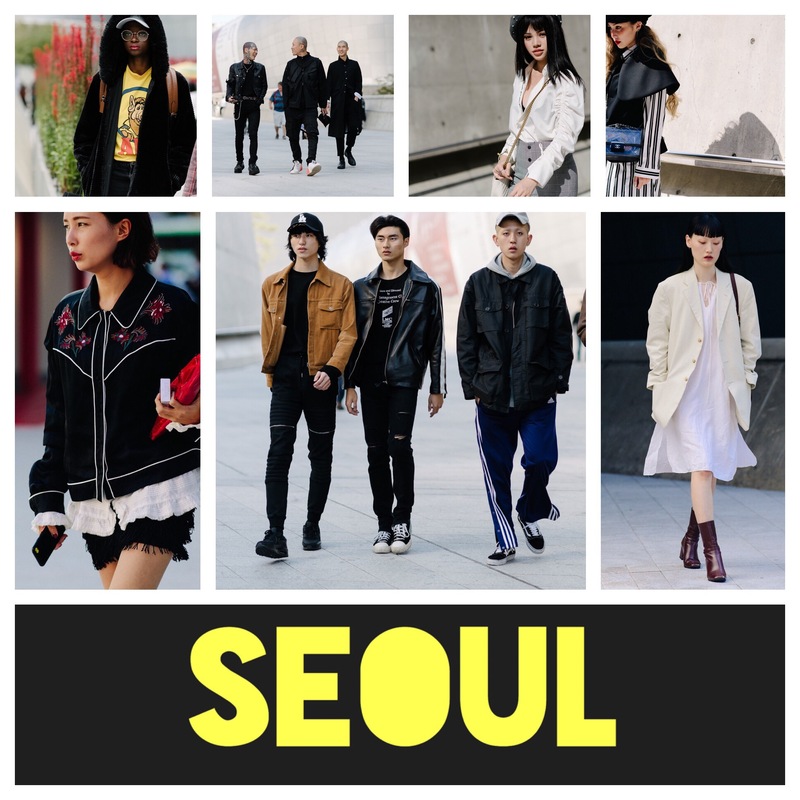 The photography below is not mine, but I have compiled a fun and easy summary of Street Style from Seoul Fashion Week, Tokyo Fashion Week, Paris Fashion Week, Milan Fashion Week, and London Fashion Week. Enjoy your visual tour! I love Asian Fashion! When I taught university in Dalian China, I remember all the students talking about how cool the Korean students were. With the recent boom in wealth, social media, K-pop, South Korean is rapidly becoming an epicenter for rapidly evolving fashion. From the above pictures you can see the vibrancy, freedom in dressing, and outfits that if worn in the US would cause a possible uproar. Men in snakeskin orange pants, does it get any more creative than that? I think not! Welcome to Tokyo, where the newest fashion invention is thong jeans. Yes, thong jeans. In a country where business practices are extremely formal, polite, and restraint is a desired attribute, the fashions emerging from Tokyo are anything but. Tokyo’s fashions, sub-cultures, and styles turn over as rapidly as their technological advances and technology. 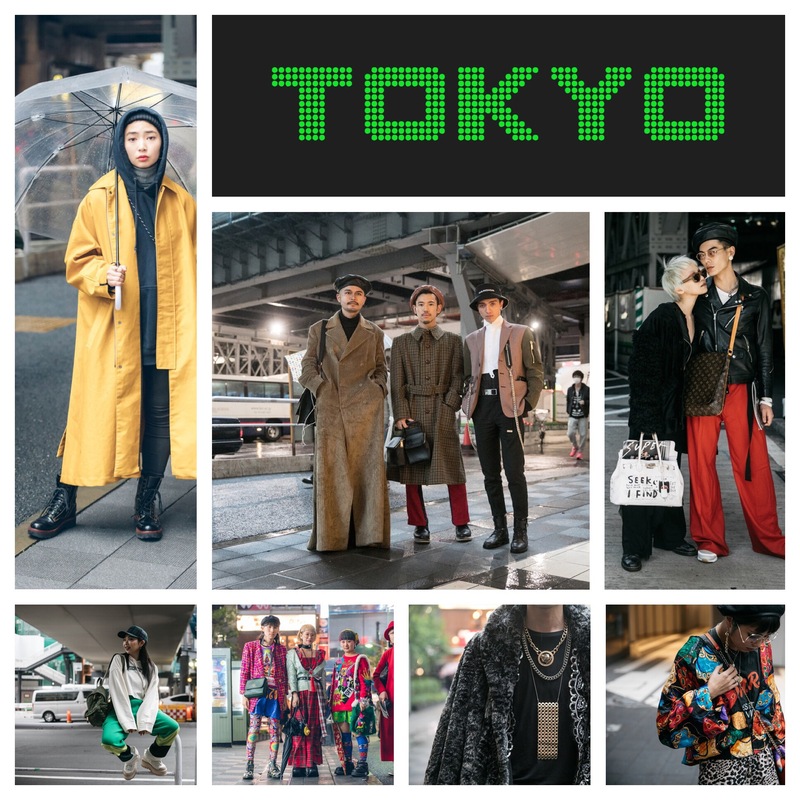 With street style and fashion houses centered in Tokyo, the innovation and artistic styles are fun to keep up with each Fashion Week! Ahhh, Paris, often considered the fashion capital of the world. France boasts big names such as Jean-Paul Gaultier, Yves Saint Laurent, Pierre Cardin, Chanel, Dior, Christian Louboutin, Thierry Mugler, and that is just the beginning of the power houses behind this artistic country. Although the majority of French women prefer a more classic look, such a jeans a blazer, or sleek black outfits with simple lines, they focus on lux fabrics such as cashmere and silk. 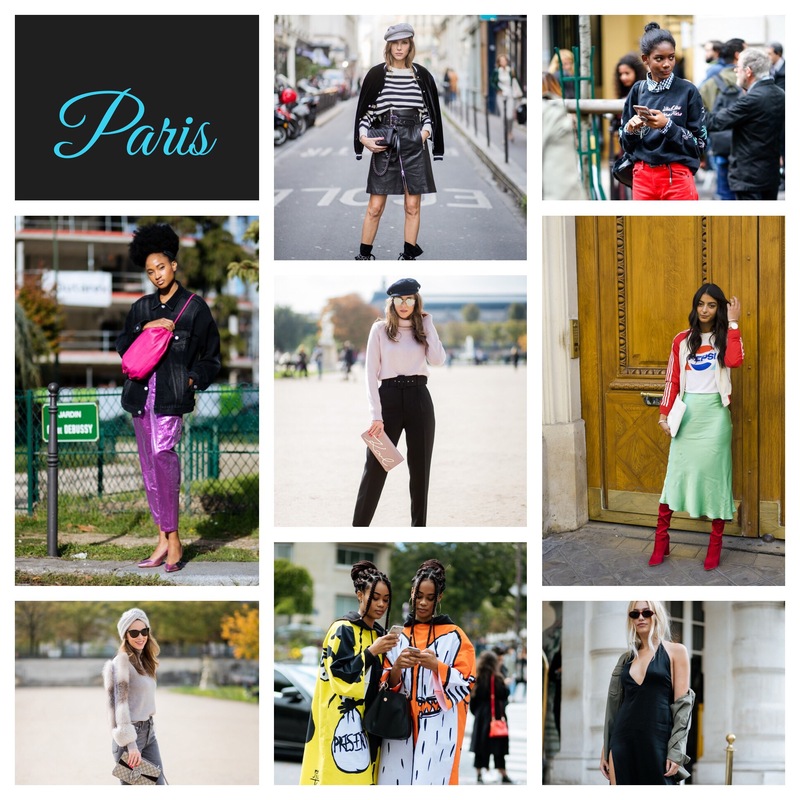 Paris Fashion Week is a fun time for these classy residents to enjoy the visual art masterpieces walking around the city of lights. Milan, a city of love and luxury is recognized as a fashion hub. Milan developed its reputation for simplicity and high quality textiles many years ago. The Middle Ages and the Renaissance had Milan popping with luxury goods, and leading the import and export business in high quality goods. 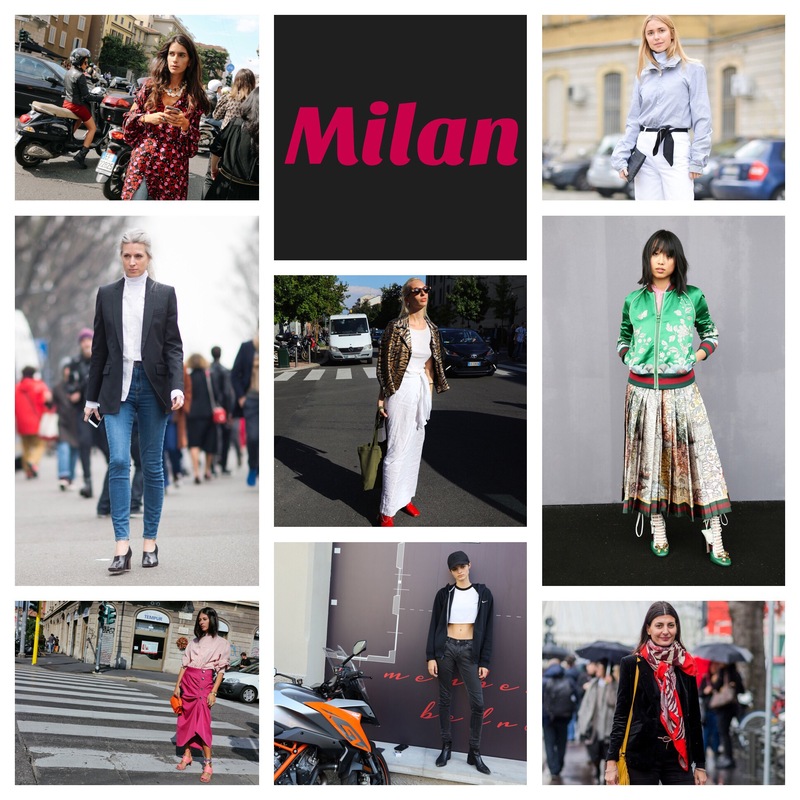 Today Milan boasts major Italian fashion houses such as Armani, Bottega Veneta, Canali, Dolce & Gabbana, Miu Miu, Prada, Versace, and the list goes on. While there are many new and unusual pieces by these designers by favorite is always the classic with a twist in an unexpected color. Enjoy the vibrant life! Can we take a moment to celebrate beautifully tailored clothes and customization? For many these may be some of the first things that come to mind. From a major hub for trade and to an expanding clothing industry largely due to immigrants, London has been an important center of trade and fashion. Londoners pride themselves in a sense of tradition mixed with innovation, and a sprinkle of theatricality. Even current designers are often inspired by street fashion and can thank some success abroad to movements such as club scene, post-punk, and new-romanticism to the very streets of London.